Just a pair of simple wire wrapped rose studs. Used 22g stainless steel wire. This is an easy project. If you'd like to DIY, the tutorial is available here. 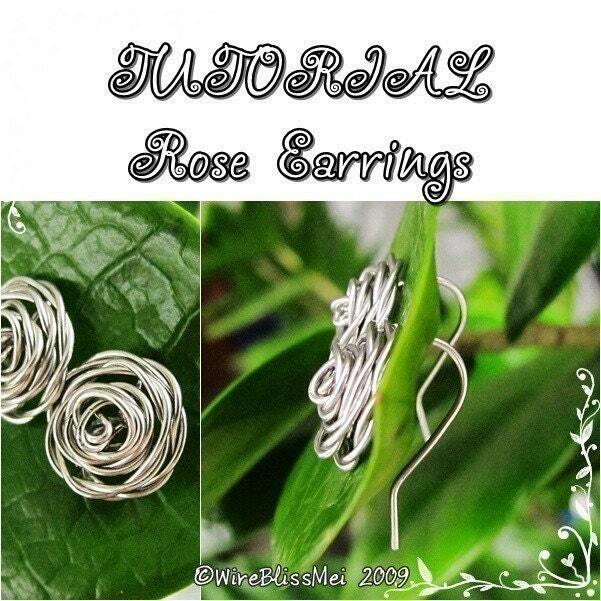 ▼The earhooks is slightly different from my earlier rose earrings.